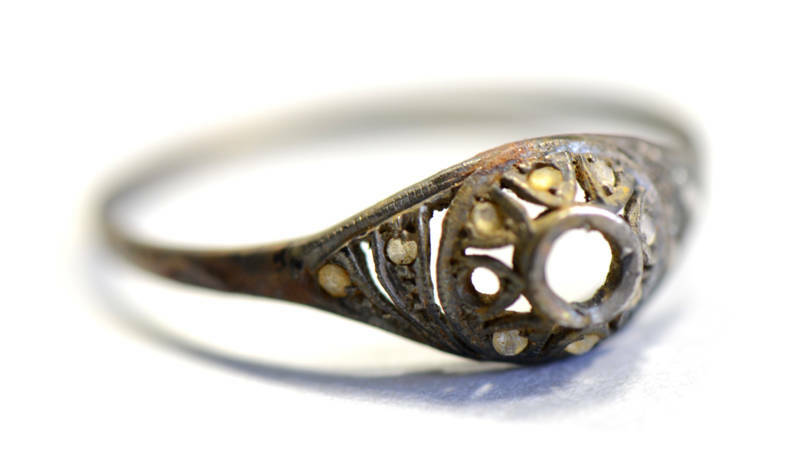 In a museum piece at the Auschwitz Museum in Poland jewelry has been found hidden in the Second World War by Jewish prisoners of the concentration camp. 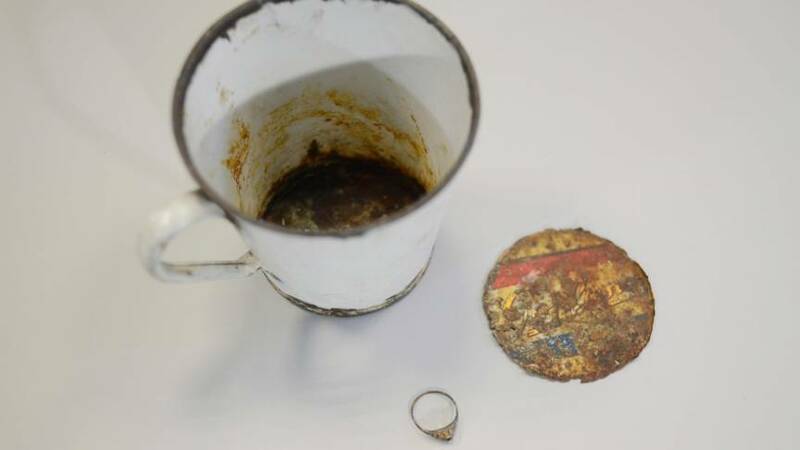 It is a ring and a necklace that had been hidden under the false bottom of a coffee mug. Curators found the jewelry when they were doing maintenance work on the utensils. The mug’s double bottom was rusting, leading to the discovery of the hiding place. Under the mug were a woman’s gold ring and a necklace wrapped in canvas. Research has shown that the jewels were made in Poland between 1921 and 1931. Many Jews hid valuables in their luggage as they were deported. According to museum director Piotr Cywinski because they were cheated by the Nazis. The deported Jews had been told that they would be housed elsewhere and that they were allowed to take a small amount of luggage. In reality, the Nazis were after their valuables. The museum in Poland has about 12,000 cups, pots, bowls, kettles and jugs taken away by the Nazis during the war. The probability that the legal owners of the jewelry will be found is very small according to the museum. In the mug there are no traces which might help to identify them. The jewelry will be documented in any case and will be stored in a safe place. In Auschwitz Birkenau concentration camp in Poland during WWII 1.1 million Jews and 100,000 other inmates were killed. One should hope that this heart-breaking discovery will give pause to present day politicians in Denmark, Germany and elsewhere who want to steal the jewelry of refugees fleeing NATO’s ‘humanitarian’ wars. This entry was posted in Crime, Racism and anti-racism and tagged anti-Semitism, nazis, Poland by petrel41. Bookmark the permalink. One should hope that somehow the identity of the owner of that ring (very probably a Polish Jewish woman murdered in Auschwitz) will be found out.